I stumbled into a few pieces of content that revolved around architect Ray Kappe and his work, so it seemed right to capture them in one group and discuss some thoughts across the board. Whilst browsing on the Kappe+DU architecture page I came across their blog section that keeps you up to date with their ongoings, most of it is the usual information that firms write about such as events and project information. Until I came across a nice article referencing a Japanese artist that goes by the name of Riusuke Fukahori (you can see his video here). Riusuke uses acrylic to paint on clear resin that is laid and set to dry in different stages, the end product is a lifelike and three-dimensional solid pool of painted fish. In the post they reference ‘The Art of Process’ and how all artists go through a process when creating their art. Architecture is not an exception to this rule, and the methods used to begin a architectural project can have profound effects on the way it is finished. These little snippets that I find often add to a bigger picture of understanding in design, especially if I jot down the little quotes, sayings and phrases in a sketchbook. I’d recommend reading the article over on their webpage so you can get an idea for what I mean first hand. 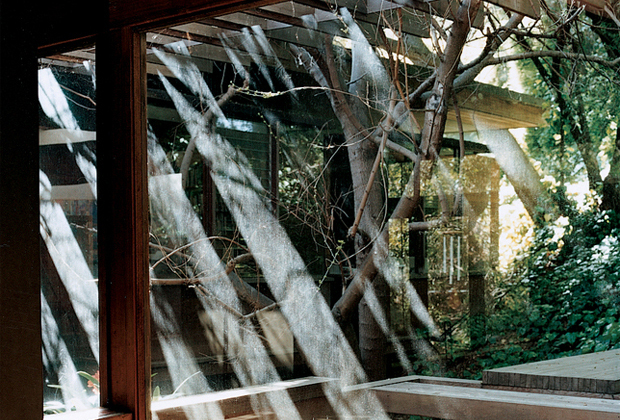 Moving on, we’ve highlighted Ray Kappe’s house before through the photography of João Canziani, which was stunning in itself and is worth revisiting when you have a minute. Today I’m going to have less static imagery and more moving, with the short film below created by Checkerboard who make different creative documentaries, this particular one is a snippet from Ray’s feature titled “California Modern Master – Forty Years of Modular Evolution”. The film explores Kappe’s thinking behind his work and traces his career from the beginning, I’m sure it’s an inspirational watch and it’s on my list of films to purchase this year. Even though it was produced in 2009 it’s pretty timeless for factual information and research purposes, plus the design in it matches this exact feeling with his home still looking relevant to this day. Interestingly he cites American architects Paul Rudolph and Louis Kahn as massive inspirations for the home, mainly Paul with the floating layers and levels. What I find so enticing about Ray’s home, and his buildings in general, is his unique ability to use natural materials in the most interesting ways, everything feels like it’s meant to be there and has a purpose or value. I guess it helps that this was a later home that he designed, apparently built when he was around the age of 40, so he used all of experience to create an environment for him and his family that was perfect. No stone unturned! I hope you enjoy the short video below and you’ll go on to the Ray Kappe architecture website and explore what other projects he’s been involved in. You’re sure to get a sense of this comfortable space and how humans can function in it, I’m surprised at the depth and warmth in such a so called ‘modernist’ house.